By now many of you have heard of the magnitude -7.0 earthquake that hit Port-Au-Prince, Haiti on Tuesday. The pictures and videoes on the news are awful and heart-breaking. According to Fox news online, Haitians are piling dead bodies on the streets. Thousands of buildings and homes have collapsed, trapping people. Fox news says that President Rene Preval believes thousands of people are dead from this earthquake; the Red Cross says that up to a third of Haiti’s 9 million population may need emergency help. “Parliament has collapsed. The tax office has collapsed. Schools have collapsed. Hospitals have collapsed. There are a lot of schools that have a lot of dead people in them,” President Preval told the Miami Herald (Fox news). Haiti has a special place in my heart. My husband Ray has made three different missions trips to Haiti, teaching security techniques to bodyguards at the compound of pastor Jay Threadgill, pastor of Fishers of Men International-Haiti. On Ray’s third trip to Haiti, I went with him, teaching preschoolers at pastor Jay’s Christian school compound. Haiti is one of the poorest Third World nations in the world, and it was an eye-opening and heart-breaking experience. Yet God is doing amazing things there through pastor Jay’s work! Please keep the people of Haiti, and especially pastor Jay and his family, his church, and his school in your prayers. For more information on how you can help, contact pastor Jay at Info@FOMHAITI.org and to help with emergency relief contact these oraganizations. 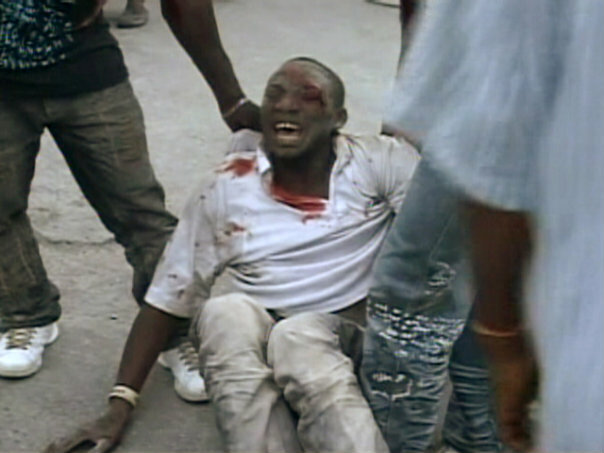 The video below is a little graphic, but shows some of Haiti’s devastation. Lord Jesus, please help them.